A friend indeed! Matt Damon has his own reaction on the massive back tattoo of his BFF Ben Affleck. On Wednesday evening The Daily Show, the 47-year-old Downsizing star appeared where he was asked about his 45-year-old friend's massive back tattoo. 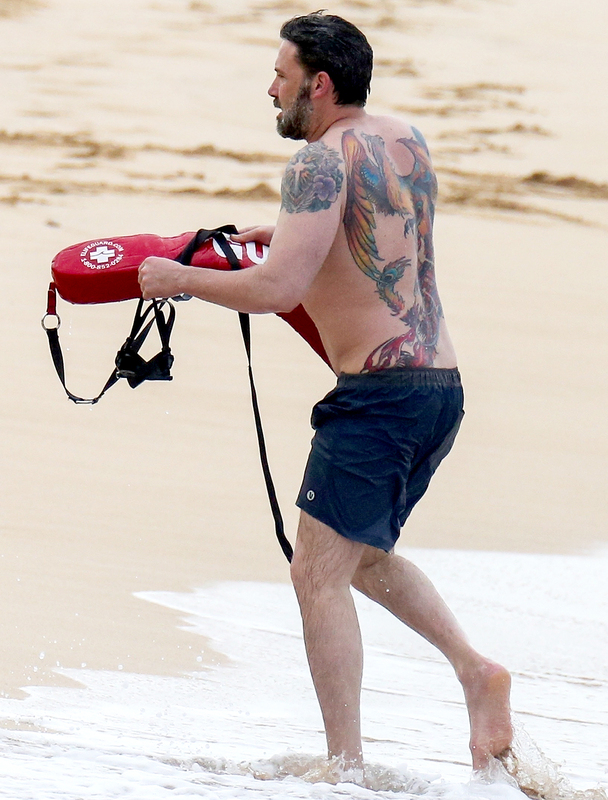 Over the weekend, Ben's made the social media frenzy after he shared pictures of himself while on the beach in Hawaii as he sports the colorful phoenix tattoo that he once claimed was fake. But now the mystery of his tattoo appears to be solved. It’s not one man’s job to tell another man what he can do to his back. You know, I support him in all of his artistic expression. Ben was first caught with the colorful ink on the set of Live By Night in December 2015. At the time, sources claimed that the tattoo was real. However, the actor told Extra in 2016 that the ink was "fake for a movie." Here's the video where you can see Matt's reaction to Ben's tattoo. Enjoy Watching! The BFFs rose to fame together in the late '90s after winning the Oscar for Best Screenplay for the drama-indie film Good Will Hunting. Ever since despite all the ups and downs, the pals have remained close friends. Watch the video above to see Damon's reaction to Affleck's tattoo!